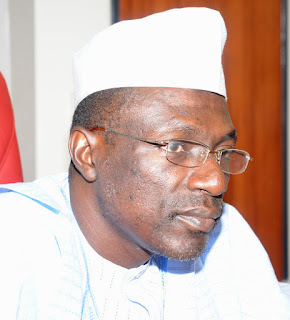 The peace process in the Peoples Democratic Party (PDP) was consolidated on Thursday as its major stakeholders filed behind the Ahmed Makarfi-led Caretaker Committee appointed by the party’s National Convention in Port Harcourt last Saturday. The only substantive organ of the party unrestrained by either the decisions of the National Convention or the Federal High Courts sitting in Lagos, Abuja and Port Harcourt, the Board of Trustees (BoT), as well as the Governors’ Forum, the National Assembly Caucus, the Professor Jerry Gana-led Concerned Stakeholders’ Forum and the Former Ministers’ Forum resolved at a meeting in Abuja to back the Makarfi committee in the overall interest of the party. The former acting National Chairman of the party, Senator Ali Modu Sheriff, who was present at the BoT meeting, was, however, absent at the stakeholders’ meeting that eventually issued a communique, proclaiming cessation of hostility last night. “We have agreed to support the decision of the National Convention, appointing a Caretaker Committee to govern the affairs of the party,” they said in a communique read by the Secretary of the BoT, Chief Ojo Maduekwe. The peace process had been kick-started by the BoT on Monday as it began consultations with the stakeholders and contending groups in the crisis that worsened at the National Convention, where the National Working Committee (NWC) and the National Executive Committee (NEC) of the party were dissolved. But in obedience to the rulings of the Federal High Courts, sitting in Lagos and Abuja, restraining the party from conducting election into about 18 offices, including the National Chairman, National Secretary and National Auditor, the National Convention shelved the scheduled polls and appointed a six-man Caretaker Committee, headed by the former governor of Kaduna State, Makarfi. The crisis deepened on Monday when the Federal High Court, sitting in Port Harcourt and Lagos gave two conflicting rulings restraining both Makarfi and Sheriff from parading themselves as officials of the party. The stakeholders, however, committed to peace yesterday asked everyone to queue behind Makarfi for the task of repositioning the party and provide a viable opposition to the All Progressives Congress (APC)-led federal government, which they said was not performing. The meeting, which was presided over by the Chairman of the BoT, Senator Walid Jibril, and attended by many members of the board, including the Deputy Senate President, Ike Ekweremadu, Minority Leader of the House of Representatives, Hon. Leo Ogor, also resolved that all matters in court should be withdrawn immediately, pleading that everyone should submit themselves to the processes of peace and reconciliation. According to the communique read by Maduekwe, a high-powered peace committee is to be set up by the BoT to reconcile all aggrieved members. He also said that another committee was being established to reconcile Sheriff with the party. Apparently responding to the conditions for peace laid down by the Gana-led Concerned Stakeholders’ Forum, the BoT secretary said it was agreed, “that the BoT will, therefore, preside over the processes of major reconciliation in our party as part of its leadership responsibility. In the light of that, the meeting agreed that all the various contending groups‎ are being supported, and indeed have agreed to work together and to support the decisions reached at the National Convention. “It was also agreed that the National Caretaker Committee of the party, ably led by former governor and senator, Ahmed Makarfi, and Senator Ben obi, involves members of Concern Stakeholders’ Forum for effective integration of all points, views and all tendencies”. On the multiple cases in court, Ojo said all litigants had been advised to withdraw their suits in compliance with the provision of the party’s constitution that forbade members from taking a legal action without exhausting the party’s internal conflict-resolution mechanisms. The consummation of peace began yesterday morning with the meeting of the BoT at which both Sheriff and Makarfi were excused after its opening.